A regular and proper rotation lengthens the life of your vehicle’s tires. Thus, in the long run, it not only saves your time but also money. As per recommendation, tires should be rotated around 6-8k miles. If a wear pattern has developed on tires shoulders. If your car has hit something. This is one of the major areas of concern in a tire care. Vehicle manufacturers recommend an inflation which should be taken care of. You can get this information in the user manual or it can be found on the label located in your vehicle’s doorjamb. If your ride is vibrating while driving, then it may require some attention. The tires suspension and steering system should be checked at the earliest to analyze the actual cause of vibration. It can be dangerous if ignored. Balancing simply means the weight of the wheel and the tire after the tire is mounted in your vehicle. Balancing can be checked if one area is heavier or lighter than the other. This is the reason for vibration and treadwear. This also increases the chances of stress on the front parts which will wear prematurely if balancing is not proper. Don’t do the harsh driving. When you drive at high-speed excessive heat is released. The heat that is generated results in reducing the life of a tire. Avoid panic stops and fasts start and avoid fast turns around corners and curves. Don’t drive over obstructions like potholes, or curbs among others. Treadwear indicator bar can be seen at 2/32″ of remaining tread in all tires. Hence, as soon as the tire wears downs to that level, it’s an indicator that it’s indeed time for you to replace your tires. Treadwear of a tire can be measured via tread depth gauge. Tires are made up of various compounds and the most prominent of them being rubber. 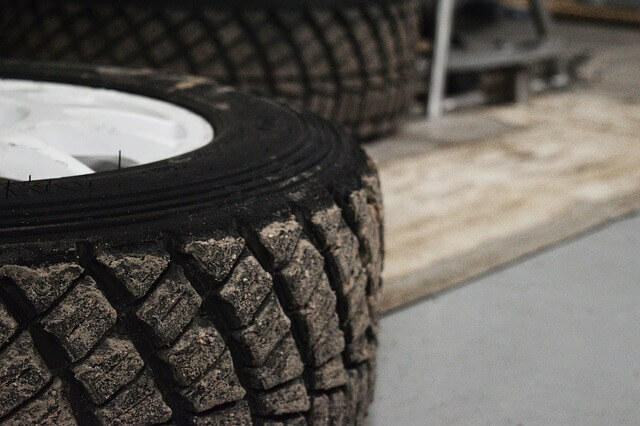 The components through which tires are made evolve over time and the factors on which it depends are maintenance, inflation pressure, storage condition, and weather among others. Thus, tire is subjected to a certain life which is already recommended by the manufacturer. Hence, as soon as the recommended period is over you should replace them. Tires require great care as they keep you safe and controlled on the road. However, they can do a lot more than just drive you around. Find out about it at blacksmokemedia.com.